Back when Titanic became a huge hit, naysayers claimed it earned most of its money due to young girls who went to see Leonardo DiCaprio again and again. This was utter nonsense; yes, teen females became a significant portion of the film’s audience, but no movie makes $600 million in the US – and more than $2 billion worldwide - due to any one demographic. 2009’s New Moon may demonstrate how much impact one demographic can exert, however. The sequel to 2008’s Twilight, Moon crushed at the box office its opening weekend but faded fast – and it made the vast majority of its money via a young(ish) female audience. It ended up with $296 million in the US, and I’m guessing that’s about as far as a movie that largely appeals to a single audience can go. New Moon picks up on Bella Swan’s (Kristen Stewart) 18th birthday. 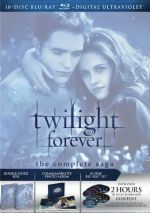 She continues to date vampire Edward Cullen (Robert Pattinson) but he soon tells her that his family needs to leave town and he can’t be with her anymore. Since the prior movie set up all the characters and situations, Moon jumps right into the action – figuratively, that is. In reality, not a whole lot happens. Edward splits, Bella mopes, then she builds bikes with new hottie Jacob. While I thought Twilight’s action scenes seemed perfunctory, in retrospect I may’ve underestimated them. Moon doles out fewer sequences of that sort, especially during the almost entirely excitement-free first half. And that’s a mistake. Twilight wasn’t exactly happy/peppy, but it seems like a barrel of laughs compared to this mopefest. In the prior flick, I thought Bella offered a good depiction of a teenage girl in love, but here, she becomes too one-dimensional. Yeah, she was always borderline kooky – her obsession with Edward kind of gave me the creeps – but here she comes across as even more disturbed. The girl spends months in a deep depression and no one thinks maybe she should get some counseling? All Bella does in New Moon is sulk and look despondent. Granted, she was never the most effervescent personality, but the emphasis on her depression makes her even more monotonous, and the film goes with it. Because of that, the whole movie becomes slow and draggy. The heavy presence of Jacob – and the de-emphasis on Edward – mars the flick as well. Lautner looks super-buff, but he’s a dull screen presence, and he shows little to no chemistry with Stewart. She and the much more interesting Pattinson developed a good connection, so the fact they spend so little time together saps much of the film’s energy. Jacob is a hunky bore. Even a third act appearance from the engaging Michael Sheen and additional new characters can’t rescue New Moon from its consistent lack of drama. Maybe the third film will redeem the saga, but chapter two delivers a sleepy dud. New Moon appears in an aspect ratio of approximately 2.40:1 on this Blu-ray Disc. While not a stunning transfer, the film usually looked very good. My only minor complaints related to sharpness, as occasional wide shots seemed a bit soft. Otherwise, the movie appeared clear and accurate, with positive delineation the vast majority of the time. No issues with jagged edges or shimmering occurred, and edge haloes remained absent. Source flaws failed to appear. The palette differed from Twilight in that it preferred an earthy brown to the first movie’s heavy teal tone, but both remained pretty monochromatic. Within those parameters, the hues looked appropriate. Blacks were dark and tight, while shadows showed good clarity. Other than the mild softness and haloes, this was a very positive presentation. As with Twilight, the DTS-HD MA 5.1 audio of New Moon seemed positive, though not incredibly ambitious. Only a smattering of action sequences opened up the piece in a moderate way. Werewolf attacks became the most dynamic, and a few other fights added some pizzazz. With this 2015 release, we get both the film’s theatrical version (2:10:37) and an extended cut (2:17:57). What does the longer edition do with those extra seven minutes, 20 seconds? I have no idea. I’ve not viewed New Moon in almost five years, so I don’t recall it well enough to point out specific alterations created for the extended cut. I do believe that the extra footage doesn’t make a substantial difference in the movie’s impact, though. Seven minutes of material isn’t enough to harm the story, but the added information doesn’t manage to expand the tale/characters in a satisfying manner. 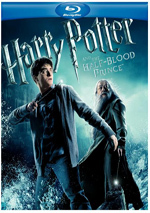 A slow, draggy film remains slow and draggy in its extended cut. The disc opens with an ad for the Twilight Forever: The Complete Saga boxed set. No trailer for New Moon appears here. I liked Twilight and figured New Moon would continue the story in a positive way. Unfortunately, it seems too long and too slow, as it never becomes engaging or dramatic. 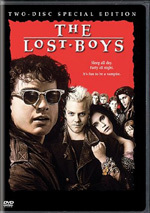 The Blu-ray provides provides very good picture and audio along but fails to include extras other than an extended version of the movie. That might be enough for fans of the series, but I don’t think the longer cut improves a forgettable experience. 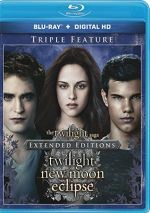 Note that the extended edition of New Moon comes as part of a “triple feature”. This set also includes elongated cuts of Twilight and Eclipse.